Self-contained guest room in the owner's recently-built home. 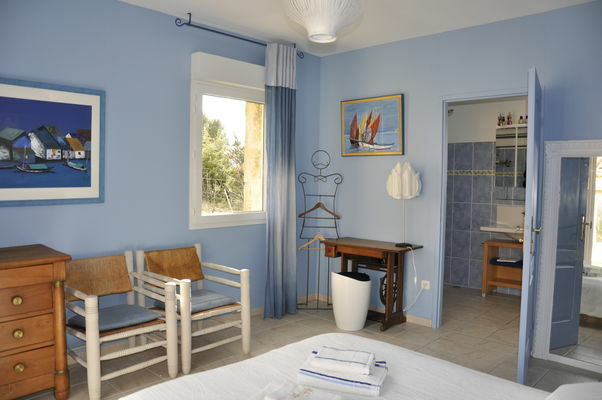 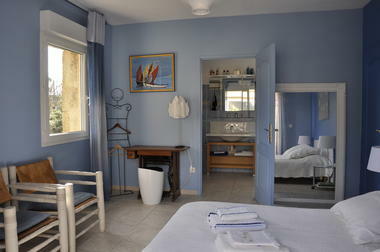 The room has direct access to the exterior, and a bathroom with bath, shower, hand basin and toilet. 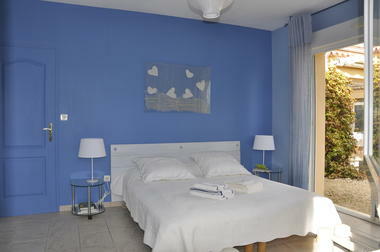 The bedroom is 15m2 in area, the bathroom 6m2. 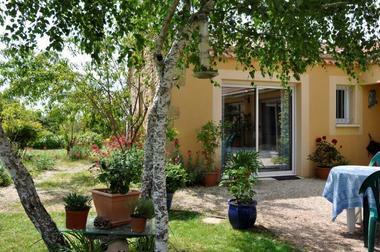 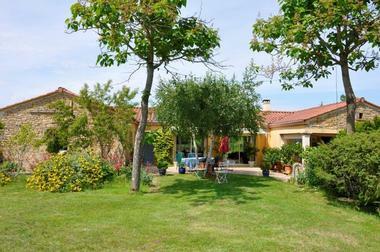 Quiet, restful place deep in the countryside and overlooking a garden with flowers on the Causse.